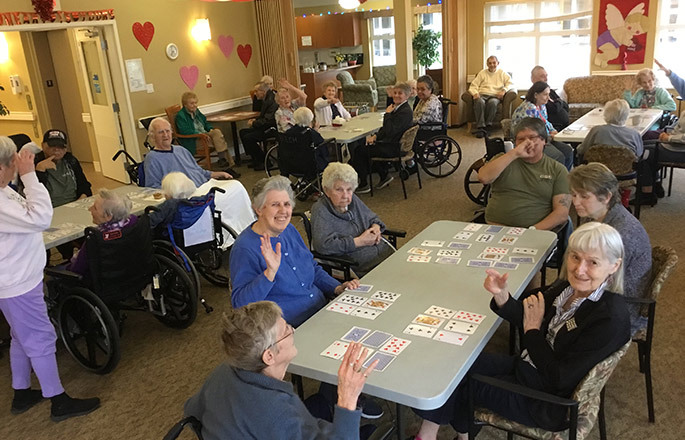 A premier Park Place care residence located in the community of Duncan, BC, Sunridge Place offers both Assisted Living and Long-Term care options. 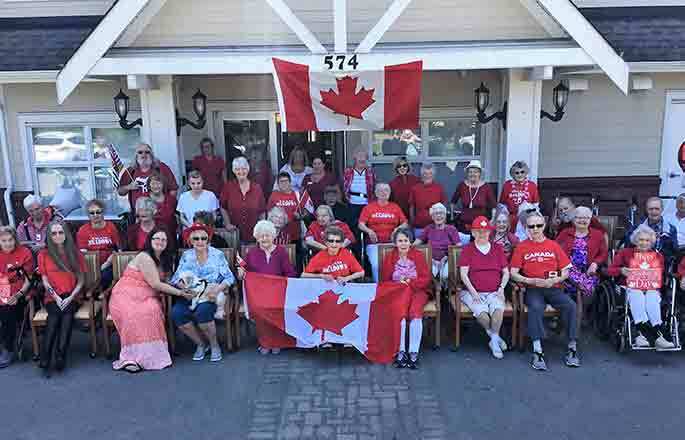 Recognized for its local volunteer and community partnerships as well as strong music programs facilitated by experienced staff, Sunridge Place Seniors Community combines unique social events with the comfort and services that provide residents a warm and welcoming environment to call home. 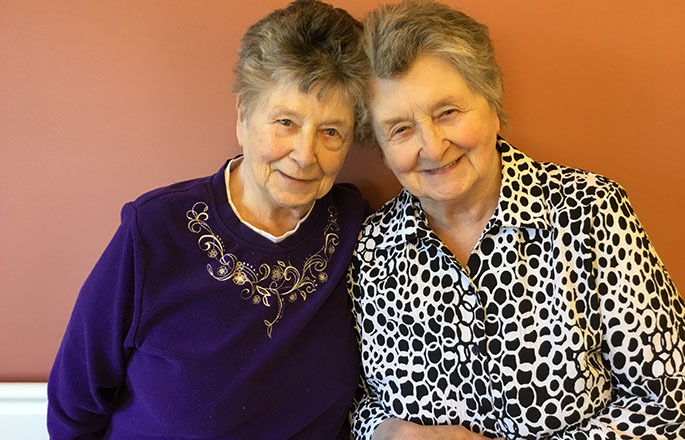 Seniors requiring Assisted Living services can rest easy knowing that we are here to support you as your changing needs require increased personal/private care. 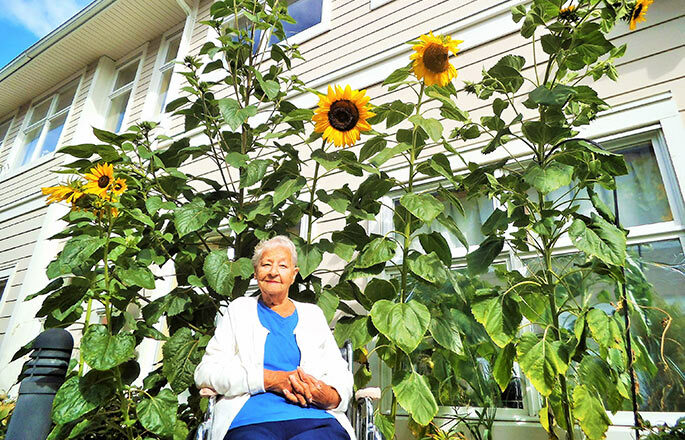 Should your loved one require long term care, Sunridge Place also provides a home-like neighbourhood with accredited nursing care support for Seniors who can no longer live safely or independently at home due to complex health care needs. All Sunridge Place residents enjoy our local art displayed throughout the halls, the fireside lounge with a big screen TV and piano, and our beautiful outdoor patio gardens. 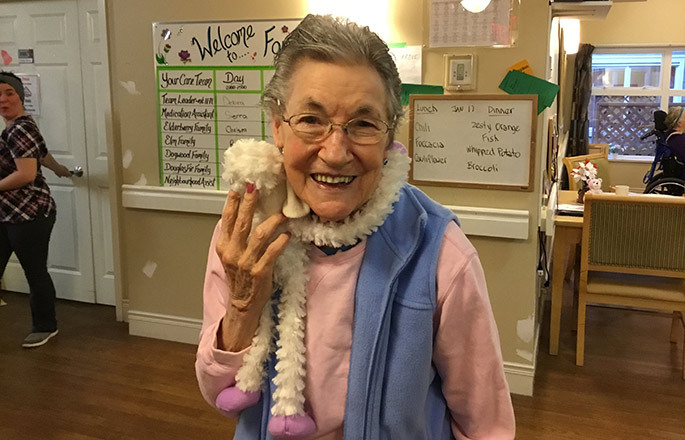 We continue to enrich the lives of our residents with access to social activities, entertainment, and opportunities to continue enjoying life despite age-related health issues. Jenn Smith, our resident Food & Beverage Manager leads our kitchen team as they prepare fresh, delicious and inspired meals that make dining at Sunridge Place a delightful culinary experience. Our on-site dietician, Rebecca Reardon, is also available to assist residents with special dietary requirements and recommendations. We are committed to ensuring you feel secure in your new home. 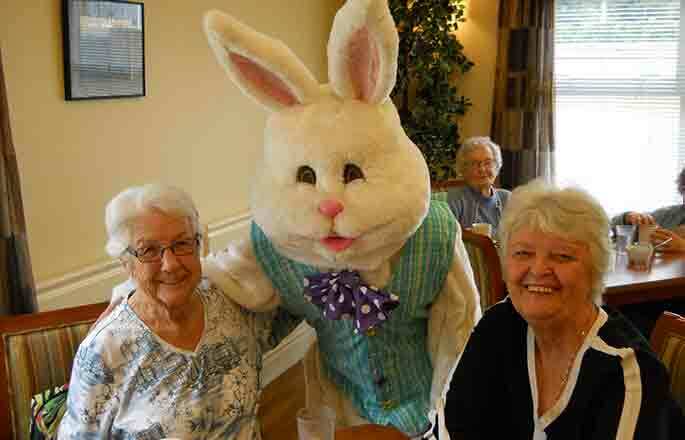 For added security, each assisted living suite is equipped with an emergency alert system. Sunridge Place is also wheelchair and walker accessible for residents requiring mobility aids, with a secure entry and exit points into the building. Sunridge Place offers residents and their families access to services and amenities, both on-site and within the local community to enhance your current lifestyle. Residents are provided with a supportive community, access to amenities, hospitality and personal care services (should they be required). Sunridge Place is a pet friendly building and community (Residents are responsible for the care of their pet). 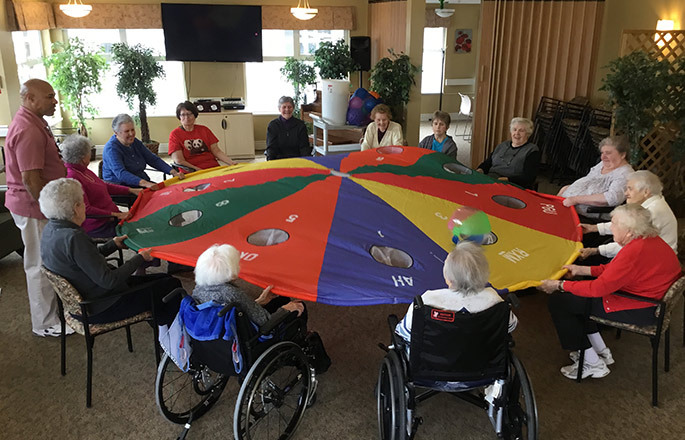 With a focus on creating a community and enhancing the lives of our residents, Sunridge Place provides the opportunity for residents to participate in weekly organized activities and special events throughout the year. 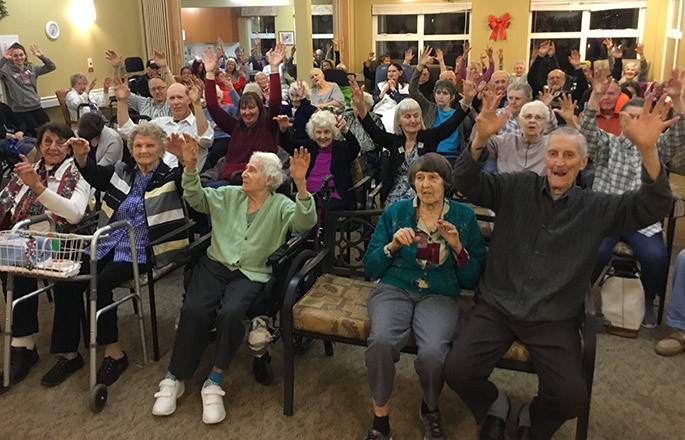 We also partner with Vancouver Island University and local high schools in various volunteer initiatives that our residents enjoy year round. Sunridge Place is conveniently located near shopping plazas and Dairy Queen.